Sunday is often the day when I take an hour out (usually just before bed) to have a little pamper. This often involves a Lush bubble bar, a face mask, washing my hair with a treatment and a good moisturise with a hint of fake tan to get me through the winter months. Along with my Sunday pampers I’ve also found some new favourites recently that have become a staple part of my daily routine. Over the last few months I’ve discovered some really great, quality products that are kind to my skin and have really made a noticeable difference. It fits with my New Year’s Resolution to be kinder to myself to buy organic skincare or products with better ingredients, and to make time for myself every day to apply them. I thought I’d dedicate a post today to sharing the newest products that have shot right to the top of my favourites list. I was sent this a couple of months ago and have been using it religiously ever since, which is testament to the statement that a little goes a long way! 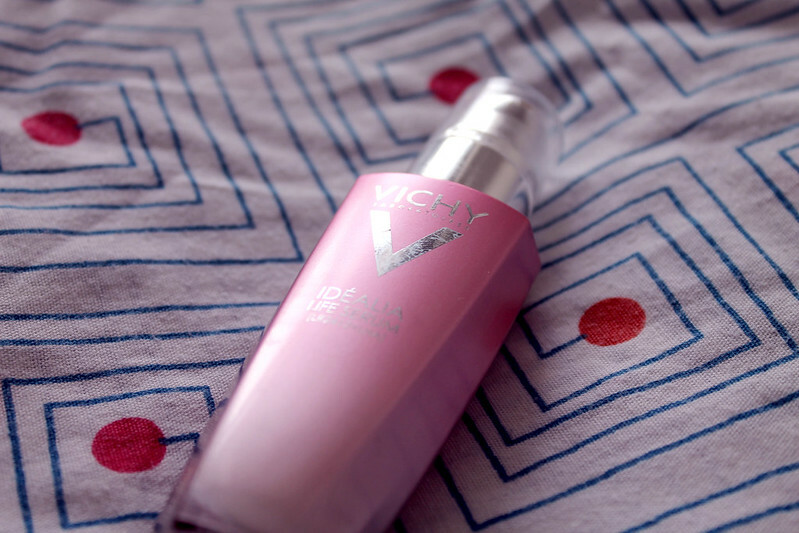 I use this after cleansing and toning before bed, or under a moisturiser in the morning. I also use it when I come home from a chilly morning run as it makes my skin feel really soothed. 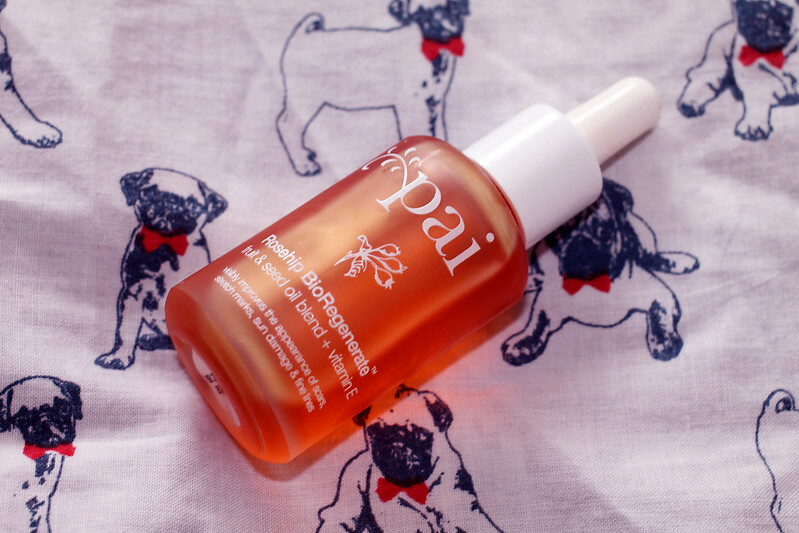 It sinks right into my skin and has definitely made my skin feel smoother and more hydrated. Okay, so not strictly a skincare product but a product that I currently use religiously and constantly rave about nonetheless. I picked this up during a recent Body Shop 50% off event (I use Quidco and have Body Shop set up as a favourite retailer so it notifies me when there are codes and high cashback events) on a bit of a whim, but I was instantly wowed. It’s a sort of goo-ey, gel-esque consistency and you get a good glob (technical term) and drizzle it into the bathtub when running a bath. 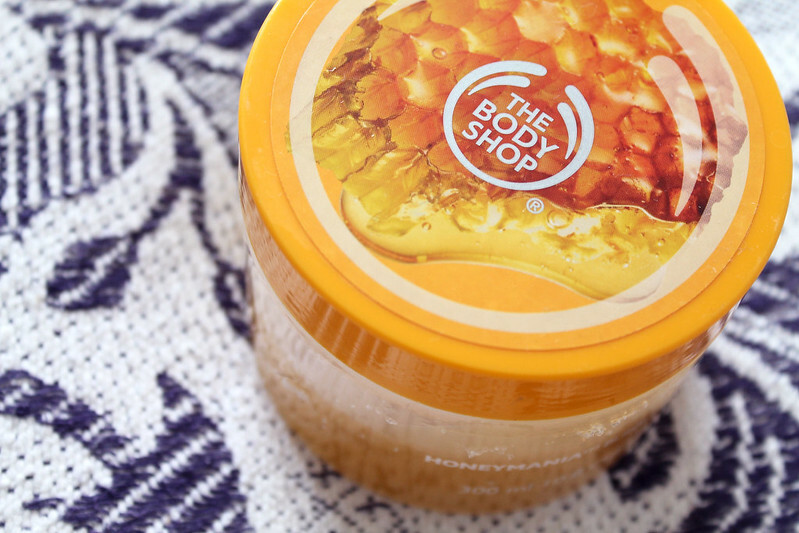 It smells heavenly, like a mix of honey and flowers, and makes my skin feel really moisturised and soft. This is another item I picked up with a 50% off code, and another product that I’ve been using religiously every day. My nails are quite badly damaged after four consecutive shellac appointments, and when I took the shellac off a few weeks ago myself my nails all broke off and were so brittle. This has been really helping bring them back to life – you use the cuticle pusher end to tidy up cuticles, and then the almond oil squeezes onto a soft brush which you can use on the nails and cuticles. It has really helped improve the quality of my nails and feels so soothing (not to mention it smells amazing). This is obviously a bit of a cult product – apparently one is sold every 28 seconds throughout the world! I bought this in France last year but it’s still going strong and seems to last ages. 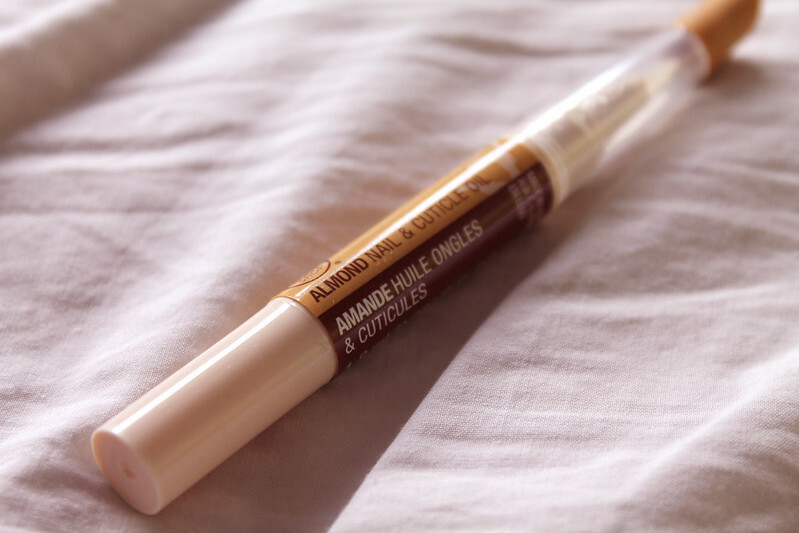 I apply it in the morning when I’m putting on my make-up and it makes my lips feel instantly moisturised (it has a sort of matt effect which means it looks fine under lipstick). It’s another product I put on before and after morning runs as it makes my lips feel really protected (it’s a very thick balm) and gets rid of any chapping or dryness. 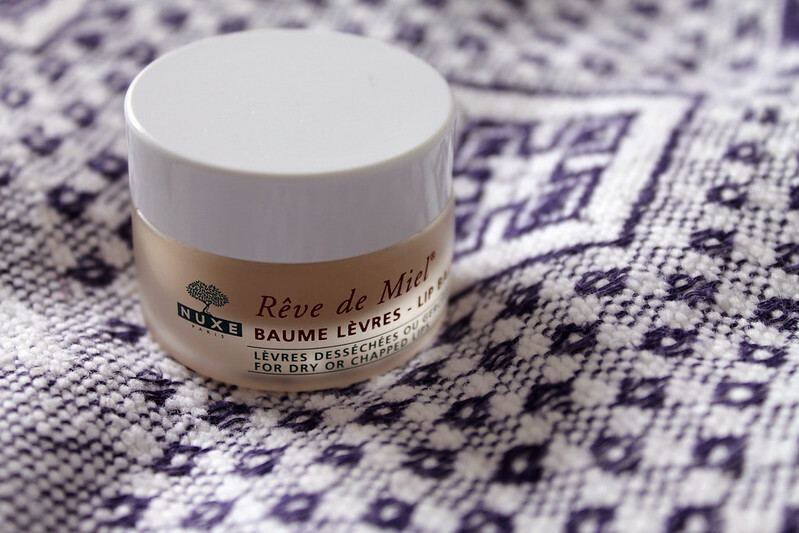 I was sent this to review as part of Tattooed Tea Lady’s My Little Skincare Project and I loved it on first try. With a creamy texture, it smells so fresh and instantly soaks into skin. It makes my skin feel really smooth and soft and is perfect for using under make-up, or you can also apply a moisturiser afterwards. After a few days of using it I really noticed a difference in my skin tone and how soft and moisturised it felt; even though it’s more than I’d usually spend on a skincare product I’ll definitely be re-purchasing this.